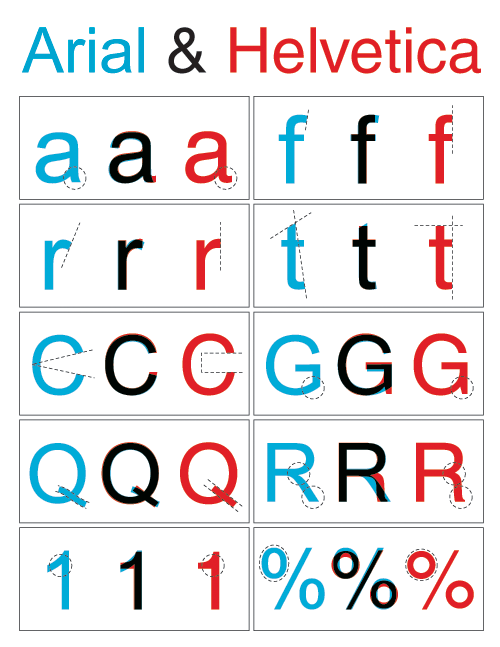 Do you think you know the difference between these 2 famous typefaces? Then take this “Arial or Helvetica” Quiz. Just a note, Arial was designed in 1982 for Monotype and not Microsoft as the link suggests. Microsoft just included it in the Windows 3.1 release to avoid paying royalty fees for Helvetica. Helvetica however ended on another software and hardware maker… the Apple Mac OS. …that Helvetica (then called Neue Hass Grotesk), was made by Max Miedinger in 1957 under the inspiration and influence of the typeface Akzidenz-Grotesk which was created in 1896 by H. Berthold AG?